Hollywood the district in LA were we stayed. 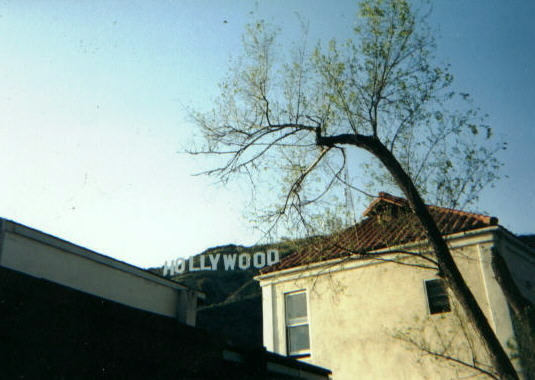 Hollywood is not a city, it is actually a part of the city of LA(while West Hollywood is a suburb). 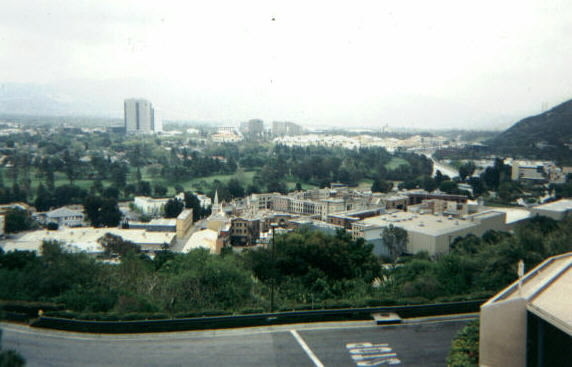 This page contains photos of the center of the movies, wich is mostly concentrated to Universal City, part of Hollywood. If Hollywood is a city within a city, Universal City is a city within a city within a city. 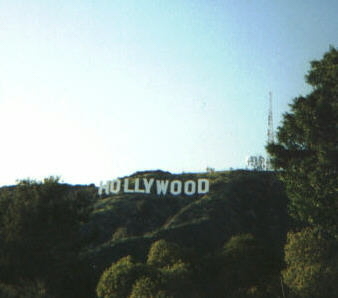 The famous Hollywood sign, originally an advertizement sign with the text Hollywoodland. 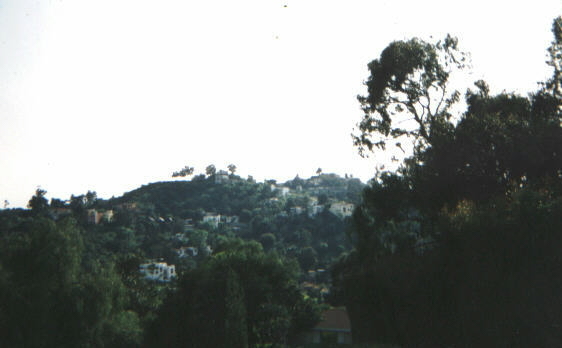 The Hollywood sign from a different angle. 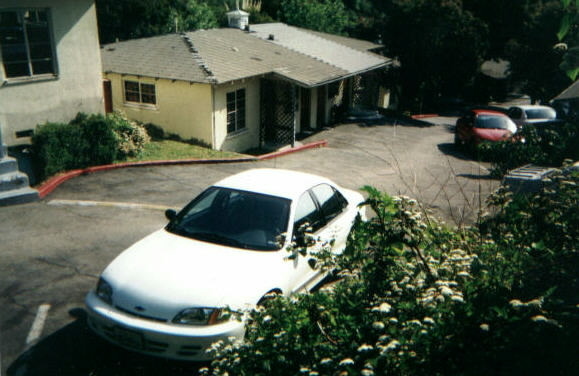 The Banana Bungalow, the youth hostel where I stayed with my friend. Very worn, but very friendly staff. new Chevrolet Cavalier that we rented. 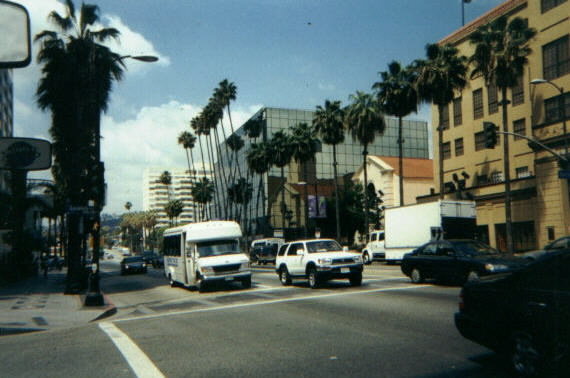 Hollywood Boulevard, one of LAs main roads. 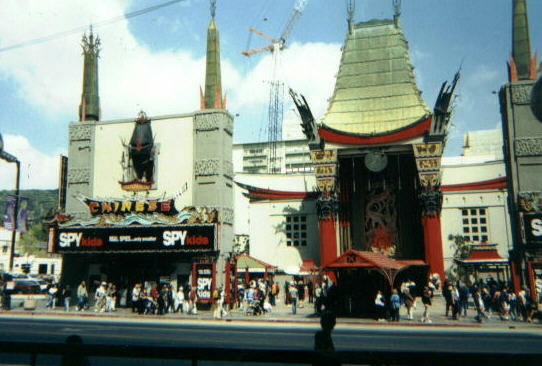 Mann´s Chinese Theatre on Hollywood Bld, USA:s first famous cinema. 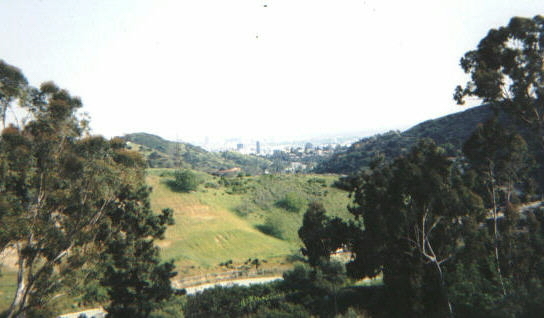 Hollywood Hills with distant views of the downtown LA skyline. It was really hard to find a place to take a photo of the whole skyline. Hollywood Hills with luxorious residences. 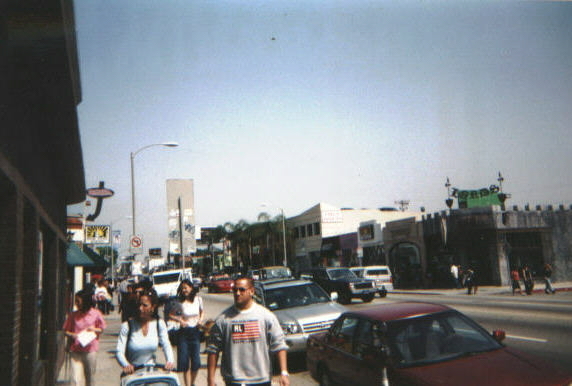 Melrose Avenue goes through Hollywood, West Hollywood and ends at Beverly Hills. It is a very nice shopping area, especially for young people. Universal City: The following shots are taken at Universal Studios. 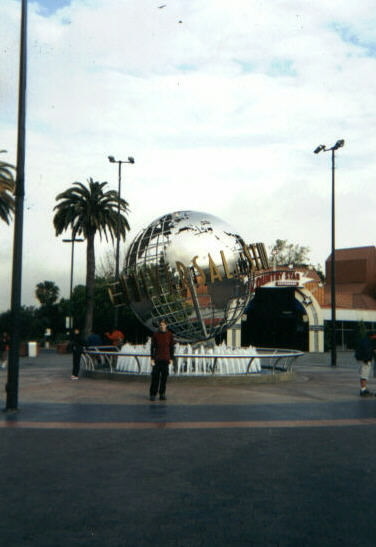 The entrance to Universal Studios, the world´s largest movie theme park and movie recording studio. 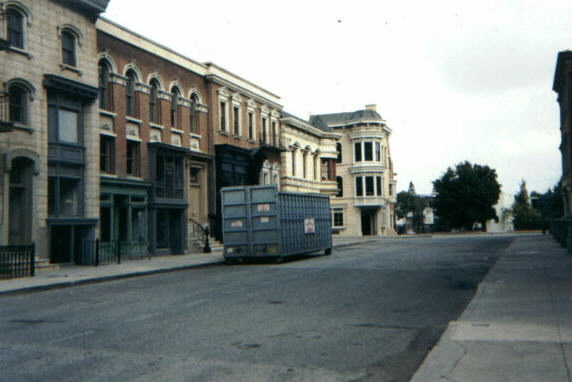 The world´s most empty town? A fictive city featured in many movies as New York, London, Moscow etc. 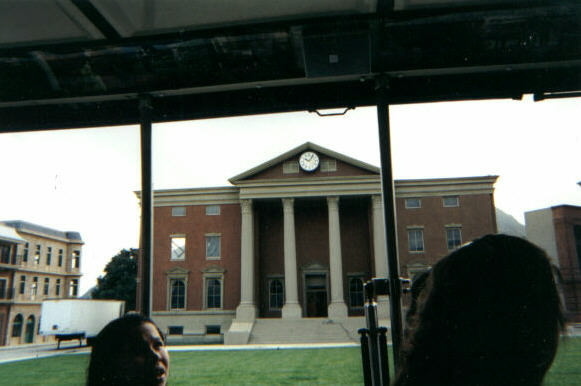 The City hall featured in Back to the future. Note that you can look right through the windows! 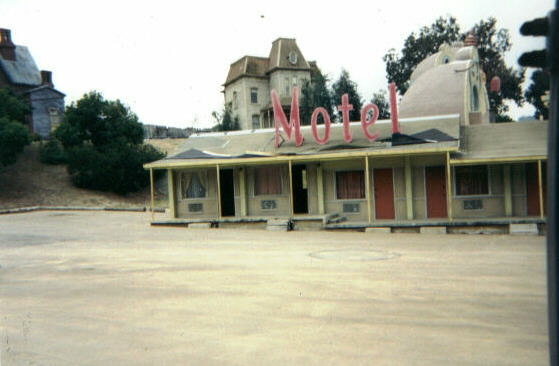 The house and Bates Motel from the classic Hitchcock movie Psycho. 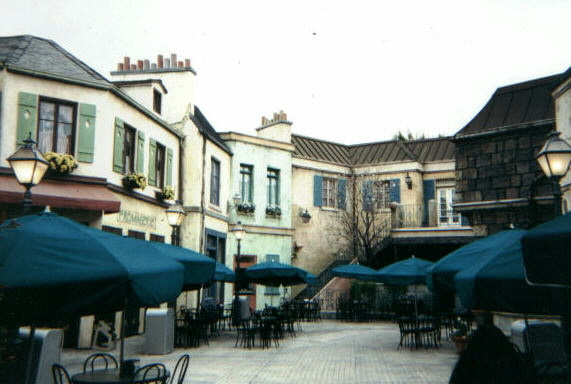 Fictive southern France at Universal Studios. 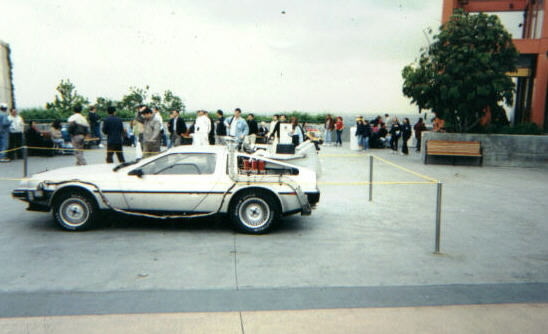 The real Delorean driven by M J Fox in Back to the future. in another Delorean, facing a 3D screen! 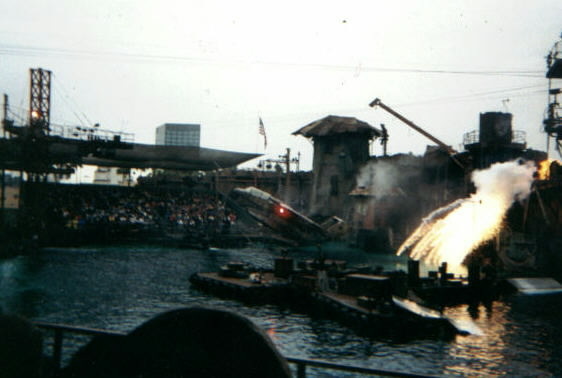 Waterworld-a spectacular water show based on the movie. The Universal skyscraper is visible in the background. © 2001 World Travel Images. All rights reserved.